While the F-150 alone already proves itself as the best truck in Canada, there’s even more you can get out of it. 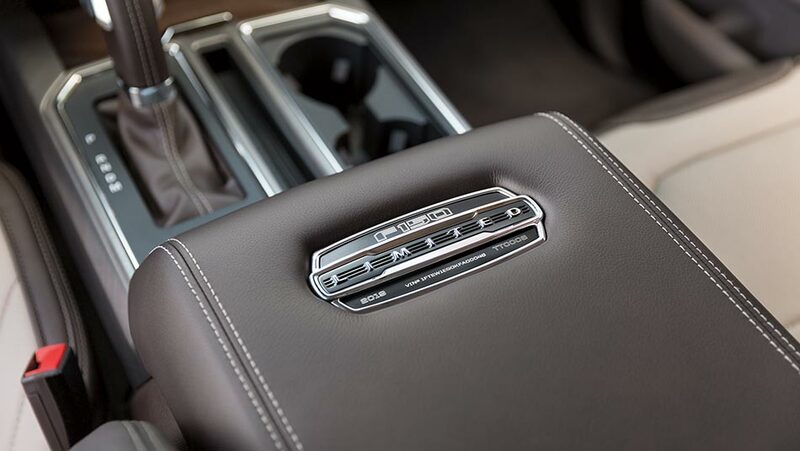 With the all-new features included with the Limited trim, you get the most out of the reigning pickup truck champion. Ford’s top-of-the-line F-150 model doesn’t back down when it comes to features, luxury, and most notably, performance—all for a starting price of $80,279. Learn more about the latest additions to the F-150 Limited, here at Kentwood Ford: your north Edmonton Ford dealer! 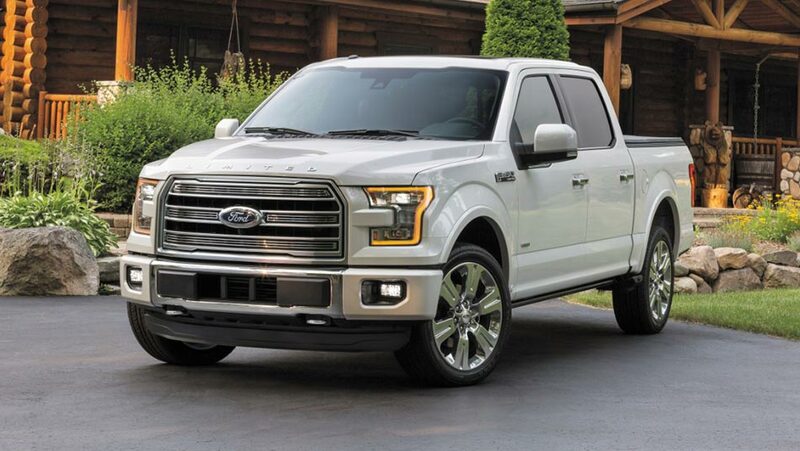 For 2019, the F-150 Limited is packed with the extraordinarily powerful High-Output 3.5L V.6 EcoBoost® Engine capable of producing 450 horsepower and 510 lb-ft of torque. Plus, the engine comes with the Auto Start/Stop Technology System to help further the EcoBoost’s already impressive fuel efficiency. The F-150 Limited also comes with an Electronic 10-Speed Automatic Transmission, which gives you up to 5 Selectable Drive Modes: Normal, Tow-Haul, Snow-Wet, EcoSelect, and Sport. Additionally, Two-Speed Automatic AWD with Mechanical Locking 4WD is also at your disposal for traction that conquers any terrain you can imagine! Stepping inside the 2019 F-150 Limited is an experience of its own. You’re immediately greeted by its exquisite interior, covered in high-quality leather and genuine wood interior trim accents. You can feel the F-150 Limited’s luxury as well with its leather-wrapped heated steering wheel, centre console lid, shifter knob, and unique multi-contour leather bucket seats that are heated, ventilated, and 10-way power adjustable. Your passengers don’t have to miss out on this kind of luxury either, as the rear seats also come heated as well. The 2019 F-150 Limited comes with even more standard technologies and features than ever before. First, the BLIS® (Blind Spot Information System) with Cross-Traffic Alert and Trailer Coverage ensures you and your cargo stays safe on the road by alerting of potential vehicles on either side of you. Next, the F-150 Limited also comes standard with the Technology package, which includes Active Park Assist, a Lane-Keeping System, the 360 Camera with Split-view Display and Dynamic Hitch Assist. For the best music-listening experience, the B&O PLAY™ Premium Audio System is fully integrated into the truck, packed with SiriusXM® Satellite Radio, 10 speakers, and a subwoofer. One of the best things about the new 2019 F-150 Limited is that it already comes included with every new standard feature coming to this model year. For example, every F-150 now comes with Automatic High Beams for the best possible nighttime visibility when driving in dark conditions. Additionally, this year’s F-150s get another step up in safety, thanks to the Pre-Collision Assist w/ Automatic Emergency Braking (AEB), which helps prevent potential accidents by applying the brakes within critical distances. Experience the new F-150 Limited for yourself.